The past 30 years, it’s safe to say, have not exactly been kind to those who benefit from and defend the welfare state. Nor have these years witnessed the achievement of all of the aims of second-wave feminism, though images, or ‘strands’ as Nancy Fraser puts it, of its great ideas can be seen all around us. Politically, we are today confronted with a paradoxical scene: those who possess elaborate critiques of the state attempting nevertheless to defend the last vestiges of it. The transition from ‘state-managed’ capitalism to the privatised, financialised, inhumane nightmare of today’s world is well traced, outlined and critically assessed in this collection of essays from 1985 to the present by Fraser, who is currently the Henry A and Louise Loeb professor of political and social science and department chair at the New School for Social Research in New York. 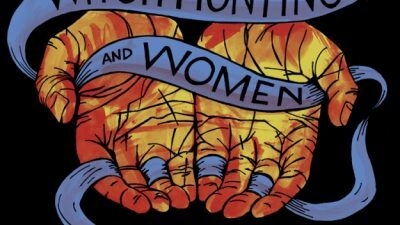 Reading Fortunes of Feminism, one is struck by how much has been lost, how much has been twisted by neoliberalism for its own ends, and how much ground there is to take back. 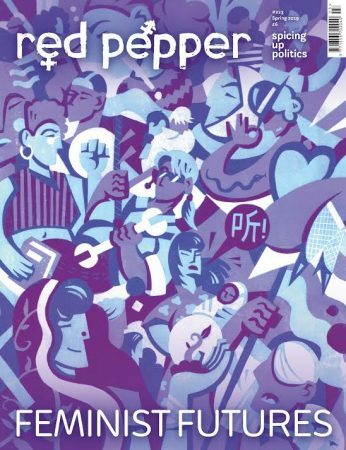 Fraser’s careful, detailed essays tackle everything from the definition of critical theory (a tradition she aligns herself with, also described here as ‘large-scale social theory’) to feminist work on the state, work, recognition and redistribution; an excellent take-down (co-authored with Linda Gordon) of the use and abuse of the term ‘dependency’ in debates around welfare; and discussions of the ‘family wage’, globalisation and various critical readings of, among others, Lacan, Butler, Habermas and Polanyi. It is this large-scale critical suspicion that subtends all of Fraser’s antipathy towards easy answers and faddish analysis. A 1990 essay, ‘Against symbolicism’, turns its bemused gaze upon Lacanian feminism, proposing that language is better understood in relationship to its everyday usage, rather than allowing it to spiral out into the theoretical cosmos. Five years earlier, she carefully unpicks the holes in Habermas’s account of ‘late welfare-state capitalism’, pointing out that his description of public and private spheres neglects feminist work on reproduction and that he fails adequately to ‘theorise the systemic, money – and power-mediated – character of male dominance in the domestic sphere of the late-capitalist lifeworld’. Fraser is acutely attuned to the spatiality of political debate, herself speaking often of axes, dimensions, hierarchies, structures, worlds, frames. 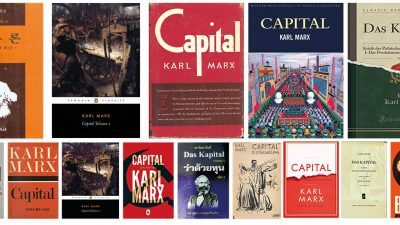 Indeed, her critical theory can be said in some ways to be an attempt to understand the ways in which these images shape thought itself. In her introduction to the collection, she moves into another set of metaphors, this time theatrical. ‘From today’s vantage-point,’ she writes, ‘the history of second-wave feminism appears as a drama in three acts,’ moving from insurrection, to cultural politics to the open-ended state of affairs where feminism could yet democratise markets and return to its original ‘insurrectionary spirit’. Fraser’s uncertainty over the future (or ‘fortunes’) of feminism is best captured in a 2008 essay ‘Feminism, capitalism and the cunning of history’. Here Fraser, like other long-term feminist writers around this time, such as Hester Eisenstein and Angela McRobbie, wonders whether an ‘uncanny double’ of feminism has unwittingly entered into a ‘dangerous liaison’ with neoliberalism. 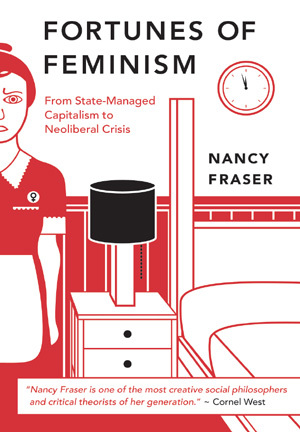 In other words, Fraser wonders, did the unravelling strands of second-wave feminism (identified as economic, cultural, political) feed ‘currents that legitimated the transition to a new form of capitalism: post-Fordist, transnational, neoliberal’? With welfare states under attack, feminist critiques of ‘economism, androcentrism, etatism and Westphalianism took on a new valance’, suggests Fraser. Neoliberalism thus instrumentalised feminism. (Think too of the way in which ‘feminism’ was invoked by belligerent western governments in the name of ‘saving’ Afghani and Iraqi women.) How, then, to get a critical feminism back? Fraser proposes, finally, a new alliance of ‘emancipation with social protection’, where freedom and solidarity would stand side by side. Fraser’s collection provides two things simultaneously. First, a critical history of debates that, in some cases, it would be nice to be in a position to go back to (a welfare state that could be the subject of critique, most especially). And second, a clear set of theoretical and political jolts into a clearer thinking through of major questions from a strong feminist perspective: work, family, society, and the future of all of these things. While Fraser’s tone might occasionally veer into a kind of sensible-sounding dismissal of more utopian and abstract speculative thought, it could well be argued that this is exactly what we need right now.